What is the best book for studying discrete mathematics? As a programmer, mathematics is important basic knowledge to study some topics, especially Algorithms. Many websites, and my fellows suggest me to study Discrete Mathematics before going to Algorithms, so I want to know which Discrete Mathematics book is suitable for my needs? 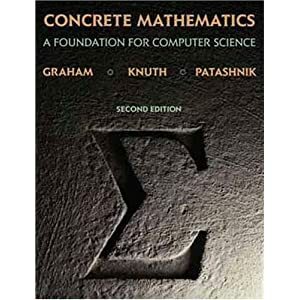 Concrete Mathematics: A Foundation for Computer Science, By Donald Knuth himself! Discrete Math knowledge is needed to become adept in proving the correctness and deriving the complexity of algorithms and data structures. You will be taught those in Algo/DS books, but you can only get the mathematical proficiency by practicing just discrete math. Knuth book is very good for that. But IMHO, you will only need it if you for doing advanced proofs in DS/Algorithms. For a beginner, it would be great to go over "Grimaldi" http://www.amazon.com/Discrete-Combinatorial-Mathematics-Applied-Introduction/dp/0201199122 and then quickly move to Algorithms. Otherwise, you will continue going deep in Discrete Math and never get to Algorithms/DS. Remember, Discrete Math does not teach you how to design algorithms or Data structures. That will come only by practicing Algorithm problems @ topcoder, acm icpc , spoj etc and reading books on Algos/DS or courses on those. A very good textbook for discrete mathematics at an undergraduate level is the Kenneth Rosen book titled Discrete Mathematics and Its Applications. The book provides solutions to half of the problems. You can also buy the Student's Solutions Guide. I don't own it, but I would suspect that it either provides the answers to the other half of the questions or provides a step-by-step guide to solving the problems (the book only provides final answers with minimal explanations of those answers). It's used for the two-quarter sequence in Discrete Mathematics that is taken by computer science and software engineering majors, as well as a number of mathematics programs at my university. I kept this book around even after I took the course, and I'm currently using it to brush up on my discrete math skills for my Certified Software Development Associate exam. Theres many different areas to discrete math, and many good books. Other books that are good include Enumerative combinatorics 1 and 2 by Richard P Stanley (a book which is sufficiently dense that having at least 1 analysis and algebra course each will help). that being said, for more introductory expositions in terms of expected mathematical maturity, I'd suggest googling around and looking at various lecture notes of the "intro to combinatorics" or "mathematics for computer scientists" sorts. I found that MIT OCW's "mathematics for Computer Scientists" notes were quite nice when I looked at them several years ago. has a link to the lecture notes. There are some really funny asides in it. One of my favorites "... anyone who says that is wrong, and you should make fun of them until they cry". Also, If you want to dig even deeper into discrete math/ combinatorics, the value of building up a wee bit of mathematical basics in other areas of math. Complex Analysis, real analysis (at the level of at least baby rudin, and perhaps even up to functional analysis), maybe some probability up to its measure theory formulation level, and at least a smidge of abstract algebra. Then you can do stuff like look at the combinatorics of random processes (great for analyzing randomized algorithms) and look at cool problems like percolation. theres probably other things I should suggest, but the point is discrete math is accessible without that much of a background, but is also rewards you for enriching that mathematics background with some amazingly beautiful stuff thats 1) awesome and fun 2) useful. I very much like Norman Biggs' Discrete Mathematics. I would not recommend the second edition. Rather, get the first edition (the "revised" first edition if you can). The text claims to be self-contained (seems so to me). Mathematical Thinking: Problem-Solving and Proofs. John P. D'Angelo, Douglas B. West. This is supposed to be an introduction to mathematical proofs. As such it is not restricted to discrete mathematics. But it does a very good job for discrete mathematics. You would also see some proof in real analysis; but you can focus only on the discrete part ignoring this. I found the book Elements of Discrete Mathematics by C. L. Liu extremely helpful. It is at a very basic level and is great if you are looking for an introduction into discrete mathematics. I found this Discrete Mathematics with Applications book. This is a great book with examples, exercises and knowledge checks. In this book, Susanna S. Epp explains the topics thoroughly and rigorously in a straightforward manner. This book highlights the really important parts of each chapter and contains a bunch of useless color photographs, charts, diagrams, tables, vignettes, and other "educational aid" fluff that is all the rage these days with publishers. The best book to study Discrete mathematics is " Discrete mathematics and Structures" by Satinder Bal Gupta". It is published by University Science Press. The language of the book is very simple. It contained hundreds of solved and unsolved problems with hints. Fundamentals of Discrete mathematical structures, 3rd Edition. It is written as per ACM-Curriculum, comprises lot of GATE level questions, and written by a Computer science Professor. Not the answer you're looking for? 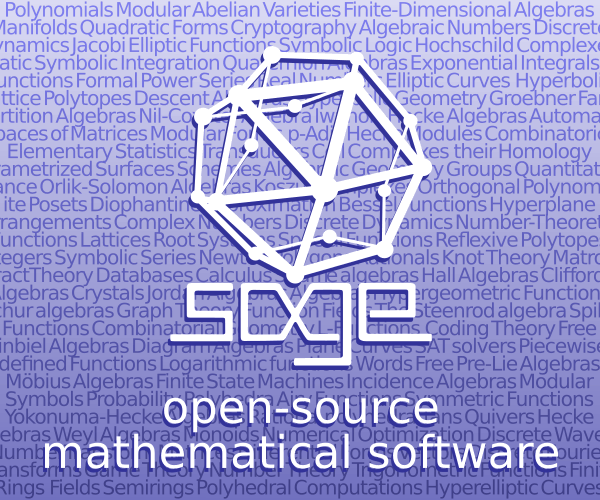 Browse other questions tagged discrete-mathematics reference-request big-list book-recommendation or ask your own question. Book recommendations for relearning high school math to study Calculus and beyond? what textbook would be good as a precursor to discrete mathematics? 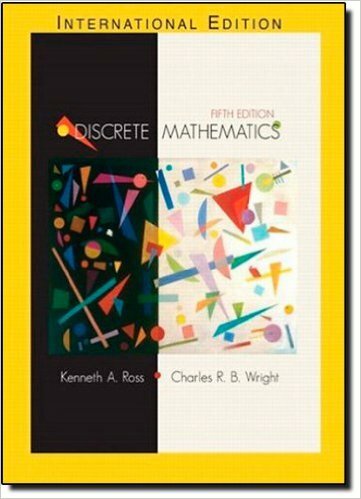 Where can I find (download) a book about basics of discrete mathematics? What are good resources to learn Mathematics for a working professional? What should be in a discrete mathematics book? What is the best sequence in which to study undergraduate mathematics? What are some good books/sites to learn research methodology in Mathematics?